NEW ALBUM 'BLEEDING HANDS' OUT NOW! Hey there! Our first album 'Endless World' dated 2006 is now on all digital stores! It's a special version containing five songs that were part of our 2002 demo, two of which were unpublished. Our 2nd Album 'Invisible' is out now on various digital platform! With much displeasure we have to announce the news that our drummer Cisco has left the band! We are very sorry about this decision and wish our friend Cisco the best! Perpetual Fire does not stop and we are proud to introduce our new bandmate: Sergio Serz Gasparini A drummer of great experience! (Dust in Eyes, Kenos). In fact he will climb on the stage of the Rock on the Road of Desio for our concert on December 6 along with UL MIK Longobardeath! New concerts: 28th October at Comunità Giovanile, Busto Arsizio (VA) and 6th December at Rock On The Road, Desio (MB). 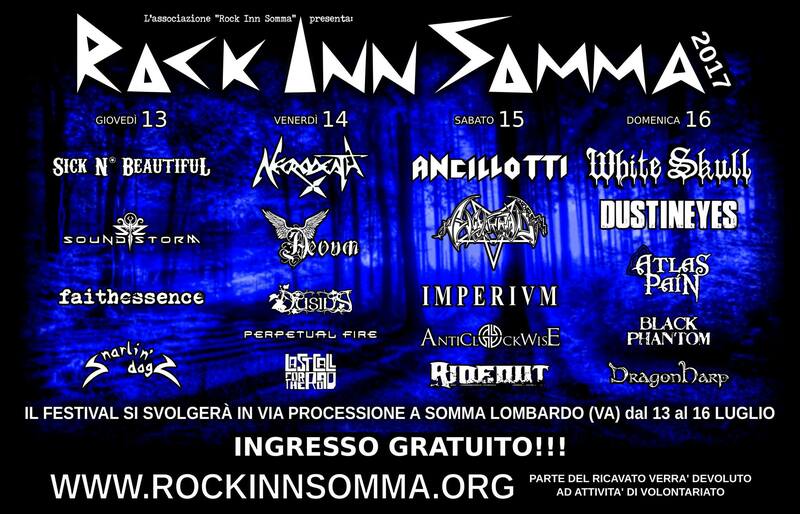 Perpetual Fire confirmed at Rock Inn Somma 2017 day 2! The release date of the physical cd will be announced soon! which will be released next mounth. The cover and the rest artwork is designed by fine Argentinian artist Rodrigo Gudina (Core76 Studios) of Ariadna Project! Save the date 26th May 2017! Ladies and gentlemen, we're proud to share with you our first video from the new Perpetual Fire album that will be out soon! 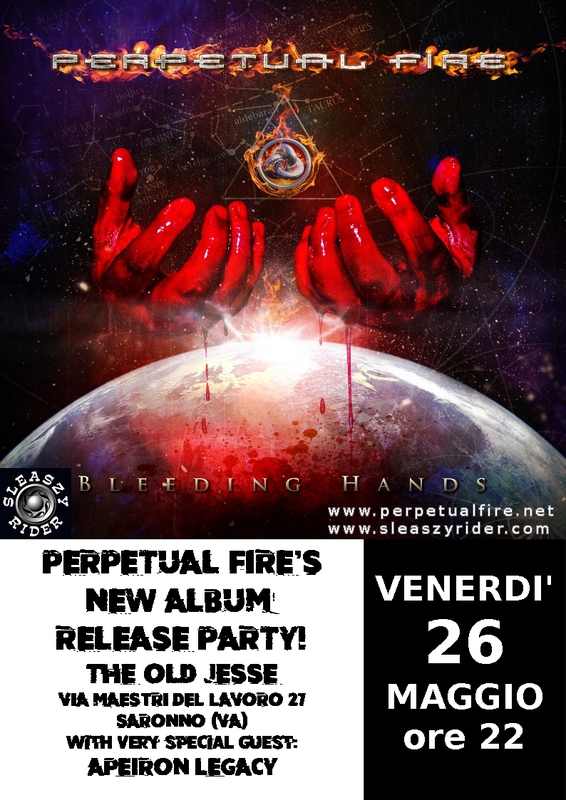 NEWS FROM SLEASZY RIDER WEB-SITE: We are glad to announce that we signed a deal with Italian power metallers PERPETUAL FIRE and we will release soon their 3:rd, untitled yet, album. Lead by guitarist Steve Volta (Pandaemonium, Pino Scotto, etc) the band is playing a power metal hybrid influenced by neoclassical and melodic metal, a la Yngwie Malmsteen’s Rising Force, Symphony X, Stratovarius and Angra, and will satisfied all metal fans for sure! More infos, release date, etc. will be announced soon. We are very happy to announce that keyboardist Mauro Maffioli became part of the Perpetual Fire. He is a friend of ours for years and when we decided to add a keyboard player with the band he was our first choice! We filmed the videoclip of our song 'Invisible' you can watch some pictures on our Facebook page! First two shows added to the Tour page! Soon we will back for some concerts in 2012! Stay tuned! 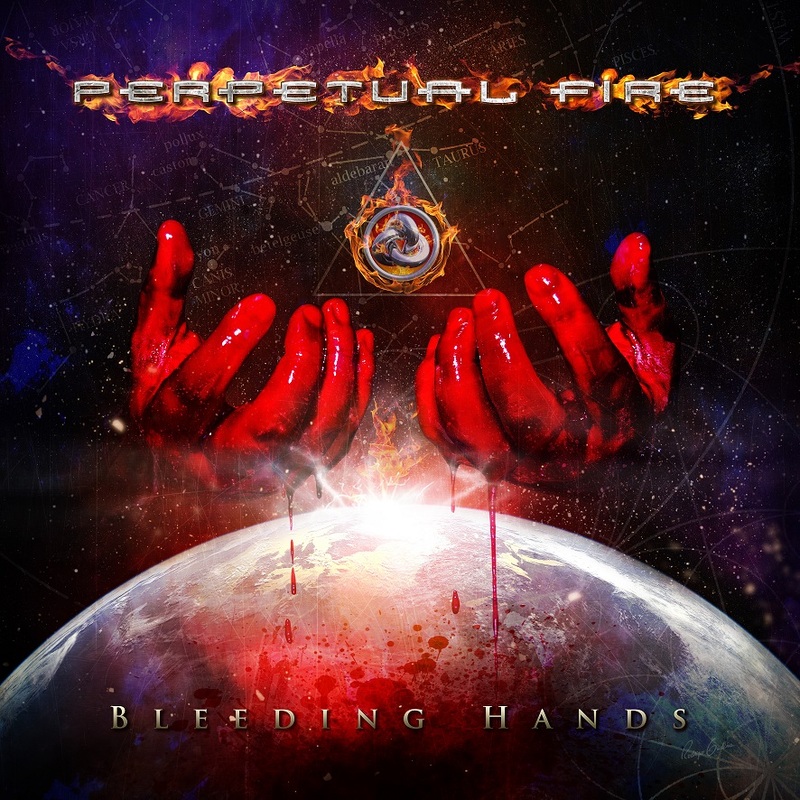 PERPETUAL FIRE in Japanese CD Import Charts!